There seems to be a bit of a rush on small motherboards lately for AMD systems. We saw the mini-STX platform that ASRock announced back at CES, which is a standard height motherboard in a 5-inch by 5-inch form factor. Now we have an Onda motherboard that halves the vertical height, in the first example of AMD in the thin Mini-ITX form factor. 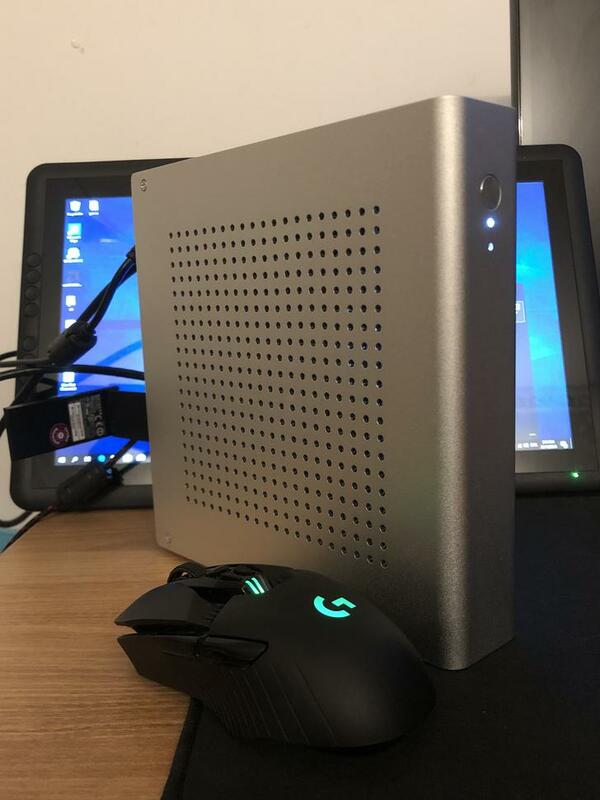 Small form factor systems do not always need to focus on all dimensions being small. Usually we discuss the x/y dimensions being small, but the z-dimension counts as well. 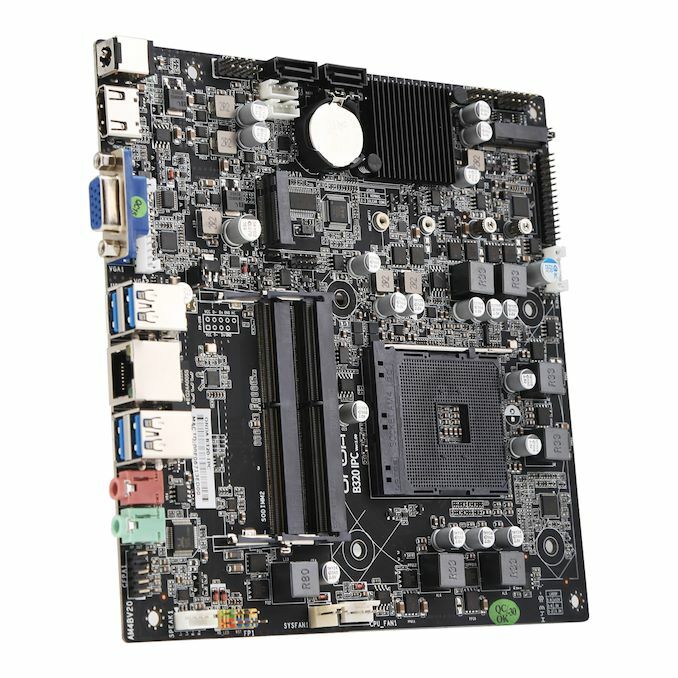 This new motherboard from Onda uses the A320 chipset along with two flattened SO-DIMMs and a shortened height rear panel in order to minimize the total z-height of the system. 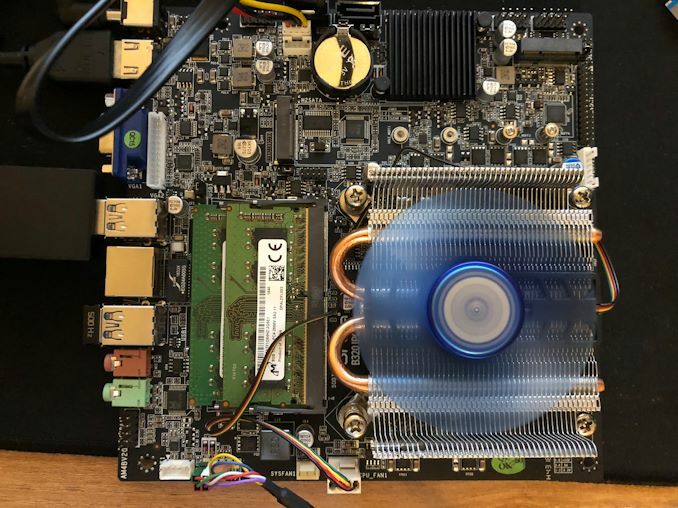 To push this more, the system uses a 19V DC-In power, which removes the need for a bulky 24-pin ATX power connector. The motherboard supports up to 32GB of DDR4-2666 SO-DIMM memory, has access to an mSATA port and two SATA ports, offers VGA and HDMI video interfaces, uses a Realtek audio codec with half-height audio connectors, and offers an M.2 Wi-Fi interface. Wired networking comes from a Realtek gigabit controller. On the rear there is four USB 3.0 ports, with two headers onboard for four USB ports. We are likely to see this motherboard, like the ASRock, end up in dedicated chassis built for it. 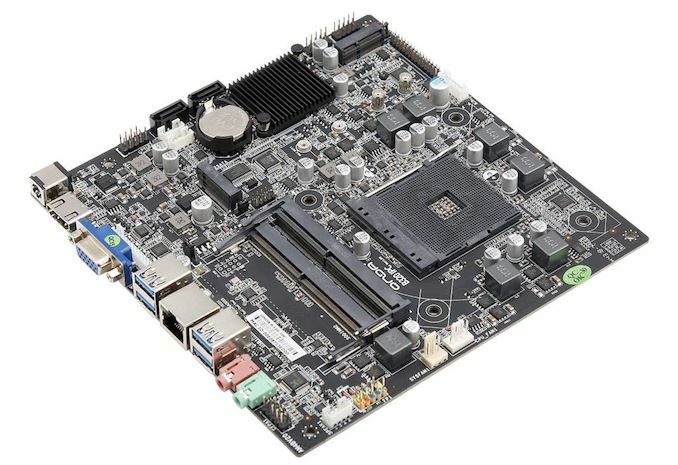 Onda calls this motherboard the ‘B320-IPC’, with the IPC part usually focusing on embedded systems. Onda sells almost exclusively in Asia. Additional images from Chupatrick (Reddit), running the system with a 2200G. Ian, what thin-ITX case was it in?